Manipulating samples as droplets within microfluidic devices has emerged as an interesting approach for chemical analysis and screening. In segmented flow, one embodiment of this technology, nanoliter samples are manipulated in microfluidic channels as plugs separated by an immiscible fluid, such as air or fluorinated oil. These plugs serve as miniature test-tubes in which reactions can be performed at high throughput. Microfluidic tools have been developed to split, dilute, extract, and filter such plugs at rates up to 10 Hz. We have developed methods to analyze plug content by mass spectrometry (MS) and electrophoresis. Several applications of this technology have emerged including: 1) high throughput screening, e.g. by using droplets as reaction vessels that are analyzed by MS, electrophoresis, or fluorescence; 2) hyphenating capillary separations, e.g. fraction collection and then interface to MS, NMR, or chemical derivatization; 3) sensing, e.g. by collecting fractions from sampling probes followed by analysis. 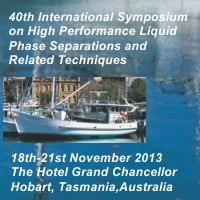 The principles of droplet formation and analysis with emphasis on application related to separations will be discussed. 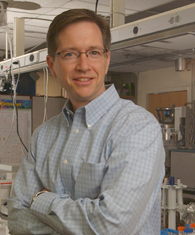 Professor Kennedy is the Hobart H. Willard Professor of Chemistry at the University of Michigan. He earned a Ph.D. from the University of North Carolina in 1988 and was previously professor of chemistry at the University of Florida for 11 years before moving to Michigan. Prof. Kennedy’s research has focused on separations and its application to neuroscience, endocrinology, and biotechnology. A particular emphasis has been development of high speed separations, e.g., electrophoretic separations of complex mixtures in less than 10 s. Rapid separations integrated with microfluidics have been applied to screening, detection of non-covalent complexes, and chemical “sensing”. He has also been actively involved in metabolomics studies. His work has been recognized by several awards including the Golay Award, Eastern Analytical Separation Science Award, and two MERIT awards from the NIH. He has held several service posts and is presently Associate Editor of Analytical Chemistry and Director of the Microfluidics in Biomedical Sciences Training Program at Michigan.